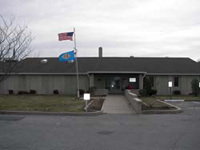 Sussex Community Corrections Center is located in Georgetown Delaware. It is a level 4 facility that houses both work release inmates and inmates who have violated probation/parole. Inmates who participate in work release are allowed to gain full time employment within the surrounding community. This helps inmates prepare for their eventual reintegration to society. We currently do not have the visiting hours for this facility, you can contact the facility at the phone number provided for more information. If you know the visiting hours for this institution please help us out by leaving a comment below.